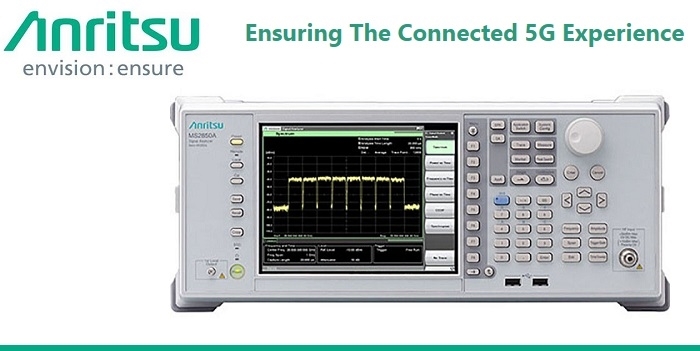 Anritsu has introduced new 5G measurement software options for its MS2850A Signal Analyzer that are compliant with the 3GPP 5G New Radio (5G NR) standard. 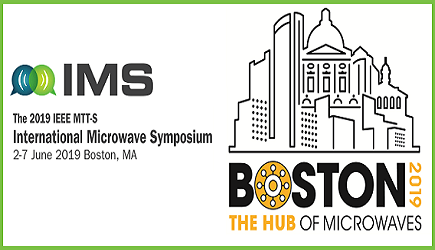 With the software installed, the MS2850A provides engineers with a cost-efficient and accurate solution to verify the RF Tx characteristics of next-generation 5G base stations and mobile devices, as well as satellite communications equipment and wideband communications systems. Specifically developed for the design and manufacture of 5G NR radio equipment, the software options support analyses of both uplink and downlink signals used by the sub-6 GHz frequencies as well as mmWave bands, such as 28 GHz and 39 GHz, in the 5G NR standard. With the software installed, the MS2850A allows engineers to specify combinations of multiple component carriers up to 400 MHz and sub-carrier intervals. Fast and stable signal-analysis measurements of key parameters, such as Tx power, frequency error, and EVM, are supported by the MS2850A with the software installed. The release includes five software options, the MX285051A M5G Standard Measurement Software, MX285051A-011/061 NR TDD sub-6 GHz Downlink and Uplink packages, and the MX285051A-021/071 NR TDD mmWave Downlink/Uplink options. Introduction of the software re-affirms Anritsu’s commitment to help facilitate early deployment of 5G services while meeting demands for high-level measurement technologies at lower instrument costs. The software is expected to play a key role in the early rollout of the latest 5G services. With wide dynamic range of greater than 140 dB, excellent amplitude/phase flatness, and up to 1 GHz analysis bandwidth, the MS2850A Signal Analyzer provides high-end performance at a mid-range price for improved cost-of-test. The signal analyzer function uses FFT (Fast Fourier transform) analysis that supports spectrum displays, spectrogram displays, and applications where frequency and phase change with elapsed time.